코드네임 아줌마 라는 우리나라에서 제작한 클레이 애니메이션 입니다. 아줌마에 관한 애니메이션이라 너무 반가운 마음에 이렇게 공유하고 싶어서 유투브 링크 올려드립니다. 클레이애니메이션 감독 홍석화 님의 인터뷰를 보시고 싶으면 이곳을 클릭해주세요. Here is a clay animation that is called, Codename Azumma! 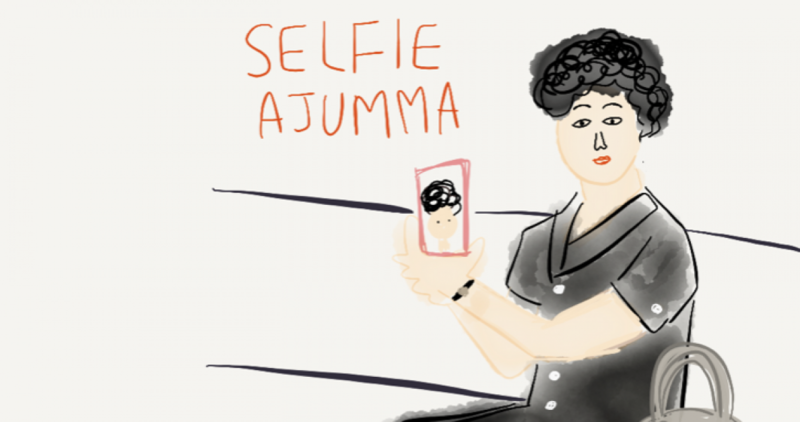 I found this animation especially about ajumma and wanted to share it with you all. I hope you enjoy watching this animation. Posted on 29 Jan 2016 29 Jan 2016 by moon ajummaPosted in 스마트 아줌마 (한국어), Smart Ajumma (English)Tagged ajumma, Clay animation, Codename azumma, 클레이 애니메이션, 아줌마, 홍석화, 코드네임 아줌마.